The newest casting rumor sounds so unorthodox, it just might work! 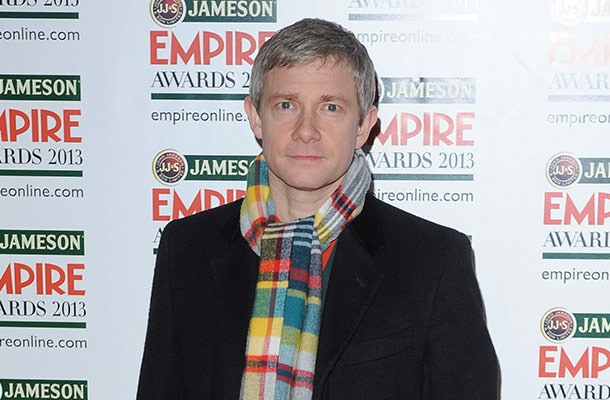 Famed British A-lister, Martin Freeman, will join George Mackay and Andy Nyman in Jeremy Dyson’s Ghost Stories. The horror flick is based on a stage show (written by actor/director Nyman), and it will, reportedly, send chills up our spines. Nyman will reprise his role as Professor Phillip Goodman, a psychology academic and noted skeptic who gets visited by someone whom he thought of dead – his old mentor, Charles Cameron. Goodman thought that Cameron died 15 years ago after his disappearance, alas, his mentor is alive, and is looking for help. As the duo digs deep into the stories of three unsolved cases, Goodman meets three haunted people who have a lot of horrid experiences to share. Along the way, he also discovers his own life might be affected. Shooting is set to start in September this year, and the horror flick will see the lights of day (or perhaps, the darkness of the night) in March 2017. If you can’t wait that long so see the fantastic Freeman in action, you can check him out in a war comedy Whiskey Tango Foxtrot in April, and in Captain America: Civil War, which is also set for an April release.